You asked for it and we've been listening! 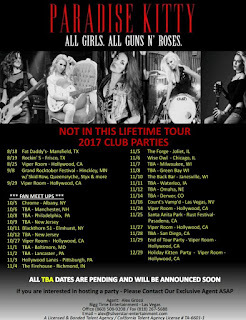 Paradise Kitty is hitting the road and we're coming to rock your world! 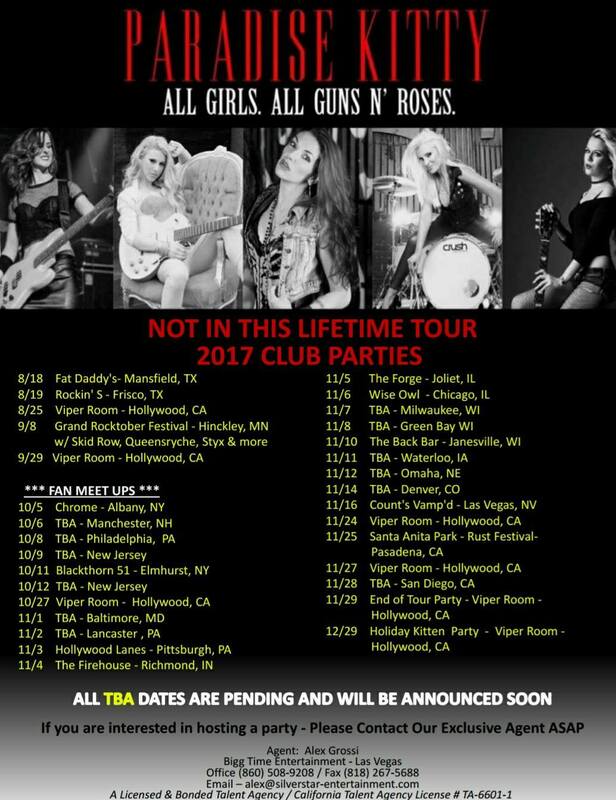 We are throwing club parties across the nation to celebrate the Guns N' Roses, Not In This Lifetime Tour, with you and all of the Gn'R fan community. We are currently adding more dates by the day, but they are going FAST! If you are interested in hosting one - Please Contact Our Exclusive Agent ASAP!